Navigator's inventory module provides a detailed, real-time view of your inventory. Each Navigator transaction updates bin-level inventory within seconds after each transaction is complete. Navigator uses this warehouse map to drive efficiencies in picking, put away, replenishment and cycle counting. Navigator's lot number tracking module allows each pallet to be labelled with an SSCC barcode as it is received. 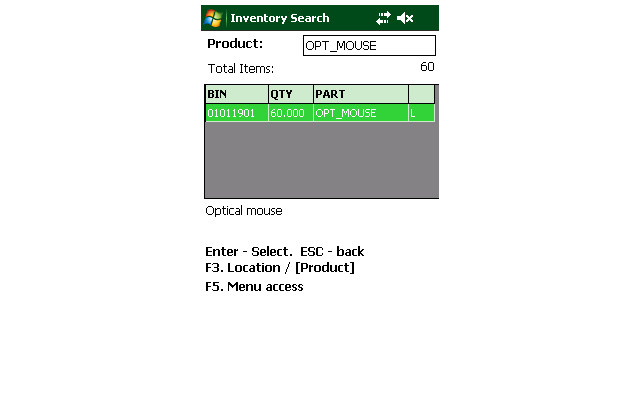 The lot number can be used to direct replenishment tasks to find the oldest pallet for each item, automatically performing stock rotation. Navigator provides support for mixed pallets and uses a directed putaway process to reduce pallet let downs during replenishment. Remove wasted time searching for bulk stock by keeping detailed inventory records. Maintain accurate real-time inventory levels through wireless transactions. 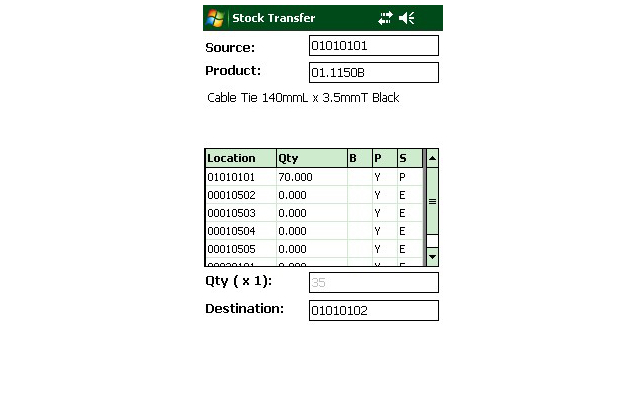 Track individual batches of goods with barcoded pallet labels. Use Navigator's intelligent replenishment transactions to reduce pallet let-downs. Multi warehouse, multi-bin and lot tracked inventory. Transfer stock between bins using RF transactinons. Track stock on mixed pallets. RF replenishment keeps picking locations full. 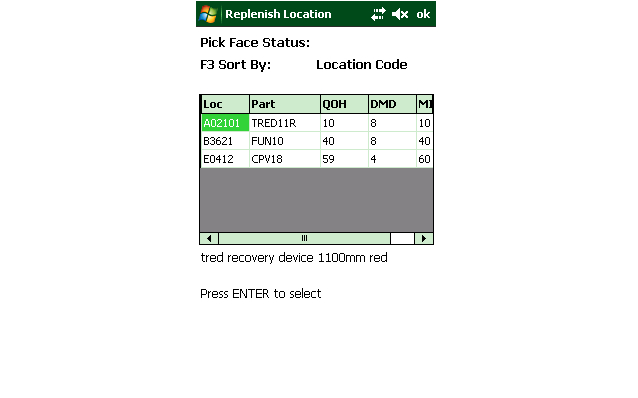 Navigator assists you to create and print bin location labels. 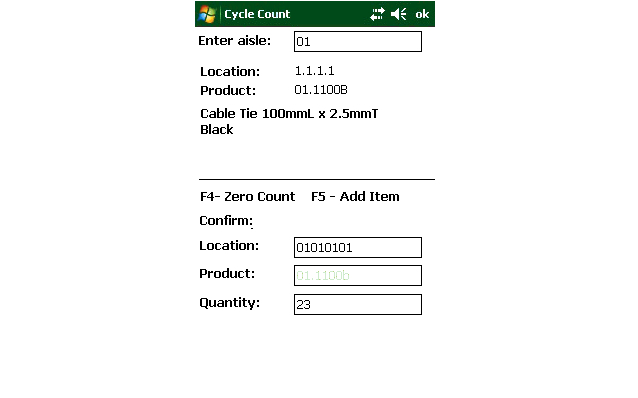 RF cycle counting transactions keep inventory accurate.